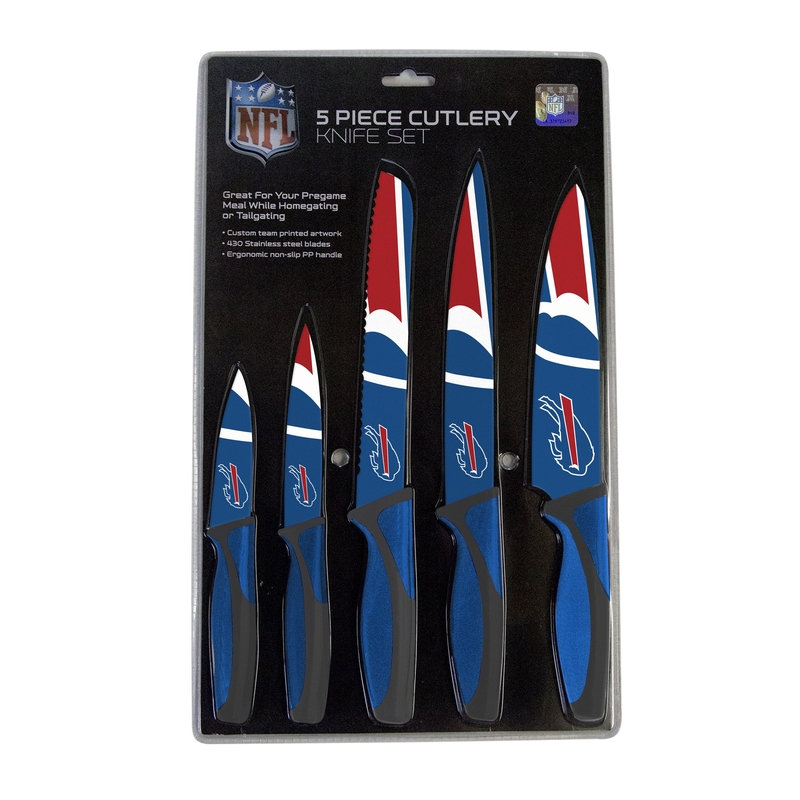 Amp up your support for the Buffalo Bills with the Buffalo Bills Kitchen Knives Set of 5. Each set of knives includes a carving knife, paring knife, chef's knife, bread knife, and utility knife. You will score with your friends and family at your next tailgate or game party with this Nfl officially-licensed cutlery. 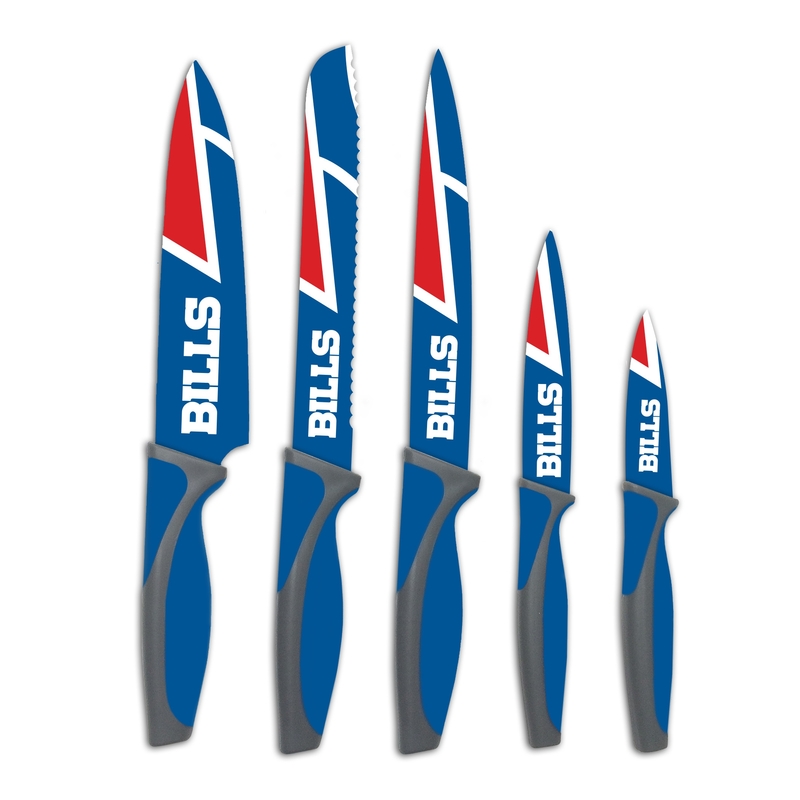 The Buffalo Bills Kitchen Knives Set of 5 is the perfect gift for friends or family members. 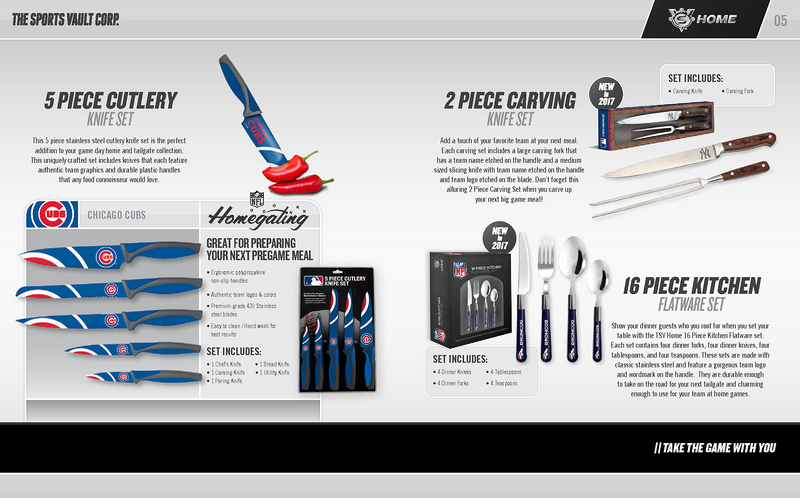 Each knife is carefully crafted with iconic Buffalo Bills team artwork and team mascot, Billy Buffalo. The blades are forged from durable stainless steel, which simplifies cleaning. The handles of the knives are crafted with an ergonomic design and made with non-slip polypropylene. All knives within the set have been tested and passed all food safety regulations. 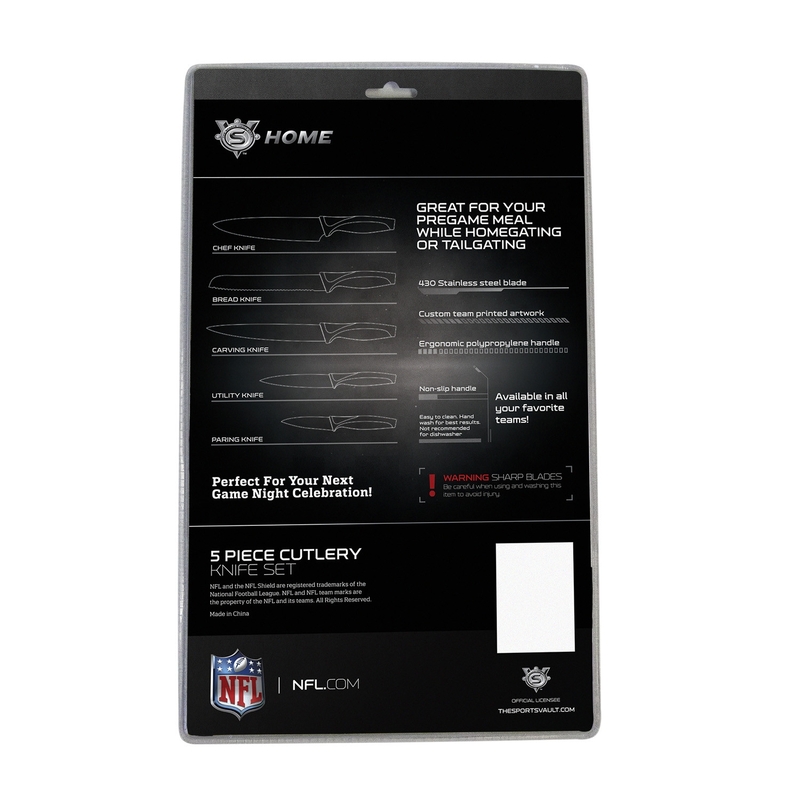 Reserve the Buffalo Bills Kitchen Knives Set of 5 today for yourself or as a gift for someone else.